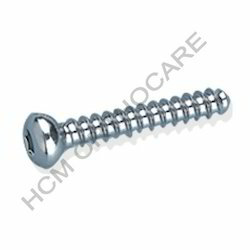 Our product range includes a wide range of cortical screws 4.5 mm and 4.5 mm malleolar screws. 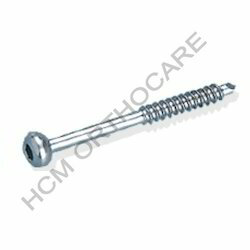 We are engaged in manufacturing and supplying a unique range of Cortical Screws 4.5mm Cortex Screws. These are fabricated with high class material that had been procured from certified vendors. Having closely spaced threads, the cortical screws are brought into application for placement of cortical bones. Under the guidance of our expert group, we offer a diverse range of premium quality 4.5 mm Malleolar Screws. Brought into application for several types of surgical works and bone placements, these products are offered in larger diameter and head. Looking for Bone Screws ?